in diverse styles—ranging from short "fractured pop tunes" to extended orchestral movements—realized by means of MIDI technology. My principal objectives in creating this music were twofold: to explore some of the novel possibilities offered by Just Intonation and to make emotionally and intellectually satisfying music. I believe I have achieved both of these goals to a significant degree. 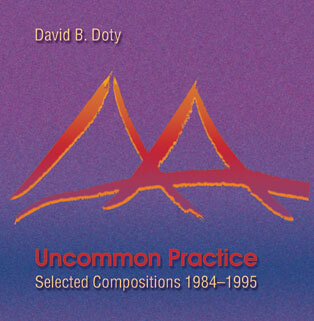 I am not currently selling Uncommon Practice CDs directly. Physical CDs are available from CD Baby and Frog Peak Music. Downloads are available from the iTunes Store and many other sources.